Bella Poppelina supplies beautiful, hand-crafted bespoke items for young and old. Bella Poppelina was named after the creator Annabell, who was affectionately called Poppelina by her mother as a child. Bella Poppelina began in early 2013 at the encouragement of friends and family who had been on the receiving end of her creativity in unique crocheted and sewn gifts. Over the last few years, the Bella Poppelina team has grown, and Annabell has two amazing woman helping her, each one focussing on their strengths. Bella Poppelina is so proud to have this incredible team of ladies. Without them, this dream would not have been possible. 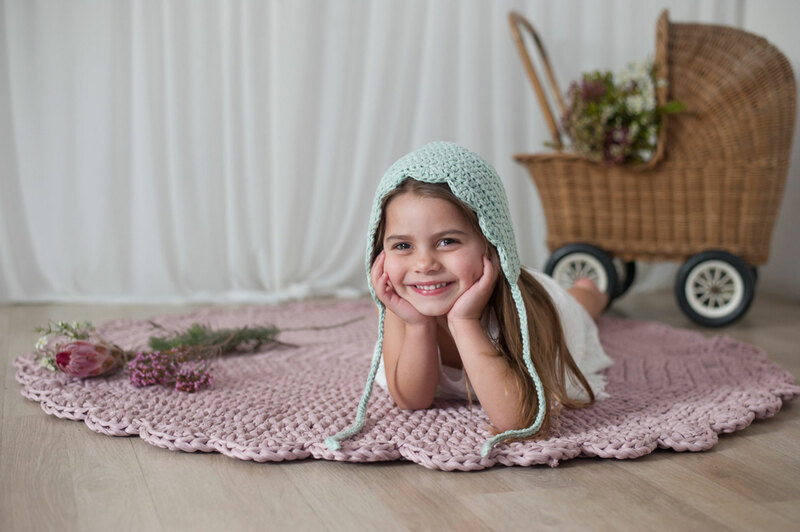 Bella Poppelina is very serious about attention to detail, and a lot of love & care (and hours…so many hours) goes into the crocheting, sewing and final touches of each and every item Bella Poppelina delivers. Each item meticulously finished by Annabell’s own two hands. Everything we create here at Bella Poppelina is a Labour of LOVE! I am so impressed with every item I ordered as well as the amazing service I received. I am in love with every single item and they look stunning in baby’s nursery. I would recommend Bella Poppelina to anyone. Love the ballerina mouse I ordered for my daughter, due soon. She is absolutely beautiful. She was the inspiration for the entire nursery. Amazing!!! Everything is made with so much love and thought!!! Thank you for making our little girls nursery extra special. Absolute work of art! I just love your work! So professional and beautiful! Wow! Words cannot describe how happy we are with the goodies for our little Princess. Not only are you friendly but you also know exactly what your clients want and expect. Professional and helpful…going far beyond just a service. Loved dealing with you Annabell. Would recommend friends & family ANYTIME! THANK YOU! THANK YOU. Annabell the goodies I ordered are just gorgeous. Truly handmade with love and excellent quality, you must be personally responsible for the best dressed babies and toddlers in Cape Town! It was such a pleasure dealing with you – great website, awesome service and such a lovely person. You deserve to be successful. Wish I could rate you 6 stars! I recently ordered a little set from Annabell. Not only was I absolutely smitten with the end result. But I cannot begin to thank her enough for her care and attention. Her customer service at every turn was beyond fantastic. I cannot thank you enough, and will look forward to using these props over and over again.